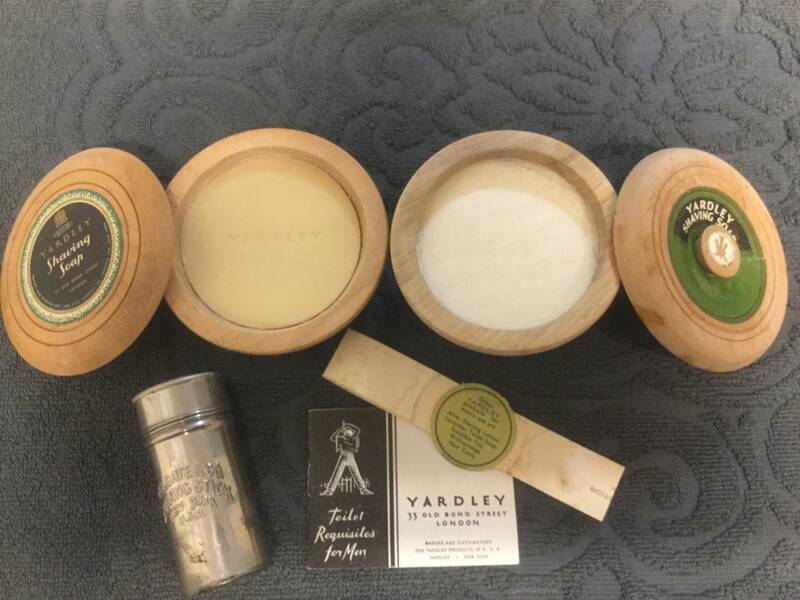 Hello there I'm looking to sell two bowls of Yardley 1 unused the other lathered once. 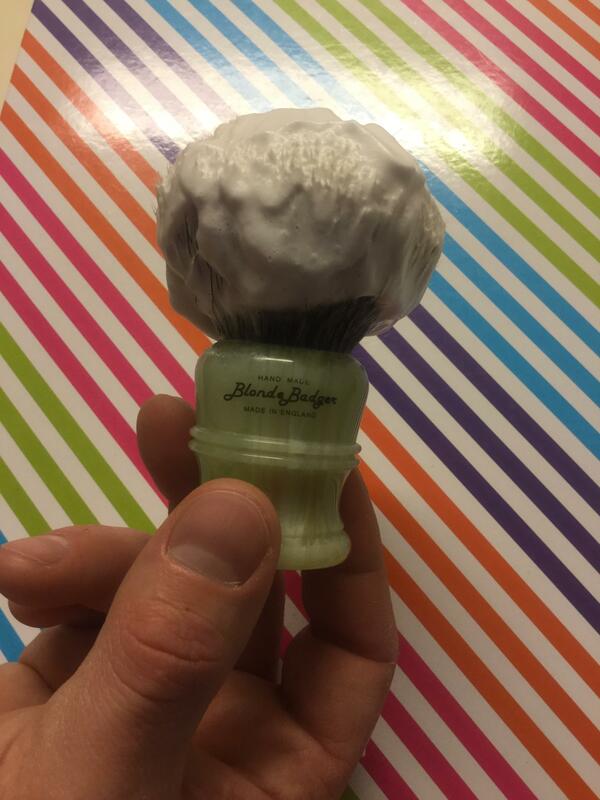 Also a Colgate soap tin and a vintage pure badger brush. I would be willing to break the lot up for individual sale/trade as well. 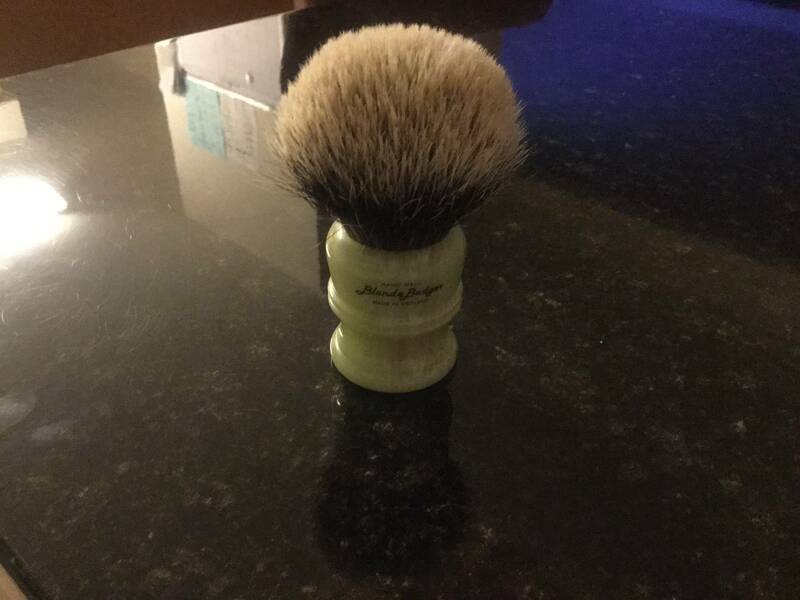 The knot on the M&F measures 30mm according to the gent I purchased it from , a lot of gents are saying it looks more like a. 2xl my apologies I'll go along with the more experienced eye as for myself have less knowledge than most on the subject. Thank you for your interest, enjoy your day. i have some Made Rite handles. Morris & Forndran brush added! 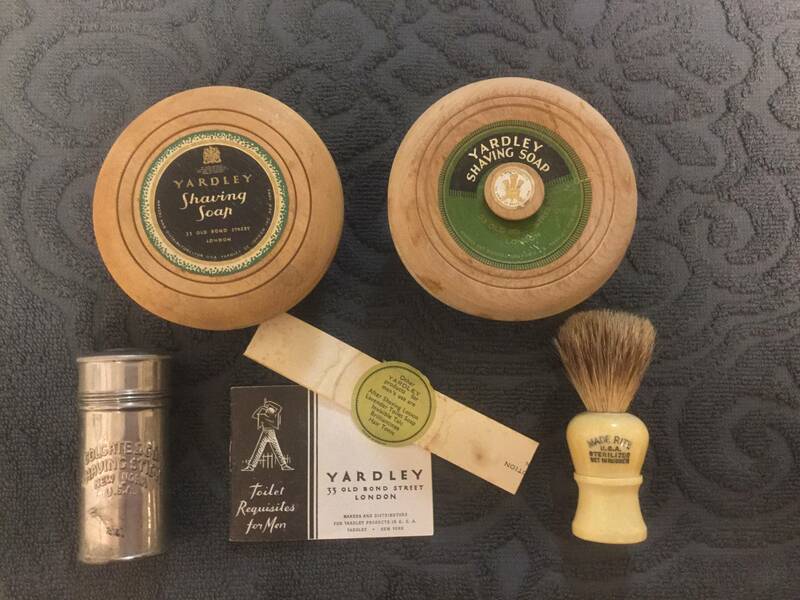 Wait, two lathered once pucks of Yardley soap for $50? What! This soap lot is a steal. What a deal! Someone is getting a really awesome deal if they buy all of it together. Great offering! Beats the heck out of my first post. Lol!!! This lot has been sold, I thank you all for your interest. Enjoy your day.